For a change of pace from poring over VCDs documenting the many fine arts one can spend a lot of time watching, we recommend “Masters of Heaven and Earth – The Secrets of Tai Chi Chuan” and “The Chen Village”. Both are from Empty Mind films. Their website has quite a collection of films dealing with both Japanese and Chinese martial arts. Grandmaster Chen Zhenglei’s annual international teaching will be in Las Vegas May 31 to June 5. I’m going. If we provided lockable lockers, clean towels, and divided showers would you take a shower after a two hour tai chi class? for a training area 50 (fifty) feet by 20 (twenty) feet in terms of the video cameras recording the students doing the sets is there an overhead lighting to be preferred? Incandescent lights have often been criticized as making everyone look too yellow – as if jaundice was rampant. That might point the dots toward fluorescent lights. Any cinematographers or victims of bad lighting out there with an opinion? We are debating using something like a beige or neutral carpet – perhaps with some patterns – OR synthetic grass. 1. wear and tear on the surface? and wear and tear on shoes? 4. abrasion if you fall? 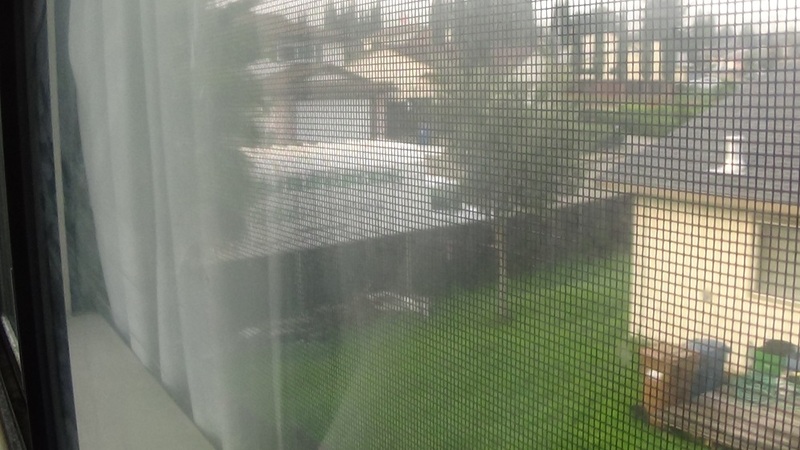 I chanced to be shooting a photo through an upstairs bedroom of a tree trimming truck parked in the street. When shot through the window’s screen voila! A grid. This suggests if you wanted a reference grid for a judo throw or tai chi position just shoot through a steady screen. Maybe a couple of inches square and clamped to the tripod. I was mildly surprised to see what is certainly a cavalry trooper bearing what looks a lot like a three-point two-edge, albeit with extended edges. There was a fair amount of warfare at the end of the Five Dynasties Ten Kingdoms period around 900-950 CE. The Song or Sung Dynasty was powerful but not preeminent from 960 to 1279. 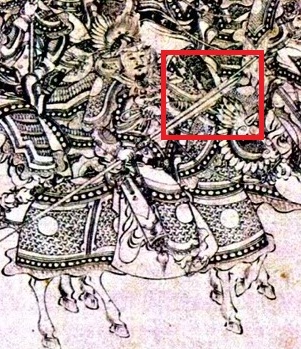 I am not sure yet if these troops were contemporaries from the Jin Dynasty, Southern Song or Northern Song.